PolyDac is a popular and very stable combination rope. It's comprised of polyester over a polypropylene core. 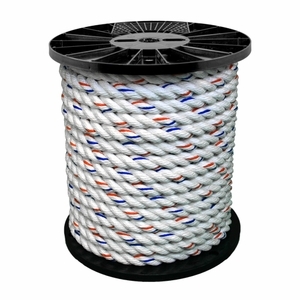 It also offers great UV resistance with good strength and lower stretch than nylon rope. It also has excellent resistance to wear. It is the most popular general purpose 3-strand rope that we sell. Commonly used for handlines, camping, hunting, fishing and tying down cargo.